Tucked away from the beach and nestled along the Choctawhatchee Bay is the family friendly area of North Santa Rosa Beach. This bay front area hosts a variety of small gated communities and quaint neighborhoods. On the north side of Highway 98, North Santa Rosa Beach provides a small-town feel and is only a short drive to shopping and entertainment in both Destin and Panama City Beach. Just to the east of Sandestin Golf and Beach Resort, you’ll find many bay front homes and communities with great amenities and many opportunities to enjoy nature. North Santa Rosa Beach encompasses Mack Bayou on the west to Eden Gardens State Park on the east. Outdoor actives are endless with the proximity of Point Washington State Forest, Eden Gardens State Park and Topsail Hill Preserve State Park in Santa Rosa Beach. Paddle boarding, kayaking, fishing, and even horseback riding are daily adventures awaiting nature lovers in North Santa Rosa Beach. The Nathan Abbott Team recommends visiting a few great local restaurants in North Santa Rosa Beach. The Bay Seafood Restaurant, located at the base of the Highway 331 bridge, is the newest restaurant opened by Great Southern Cafe owner Chef Jim Shirley. Shirley has created a new kind of local hangout at The Bay, where guests can bask right on the sand while enjoying live music, cocktails, beach games, standup paddle boarding and excellent food. The Marigny serves authentic, Cajun, Creole, and New Orleans food for the entire family in Hogtown Bayou/Old Santa Rosa Beach. Located adjacent to Sandestin on Mack Bayou Road, Driftwood Estates offers a convenient location, with easy access to the beach, shopping, restaurants, and golf courses. Sacred Heart Hospital, Sandestin, Grand Boulevard and Scenic Highway 30A are only minutes away. Driftwood Estates is the largest subdivision on Mack Bayou and amenities include a pool and clubhouse, multiple stocked ponds and easy access to a county park and playground within the neighborhood. Homes in Driftwood Estates range from 3 bedroom ranch-style homes to large multi-million dollar bay front estates. Botany Bayou is a gated bay front community located off Mack Bayou. 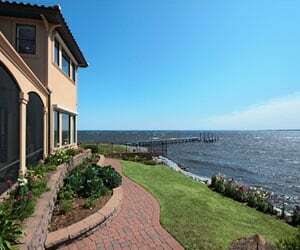 Homes in Botany Bayou range from 3 bedroom single family homes to large bay front estates. 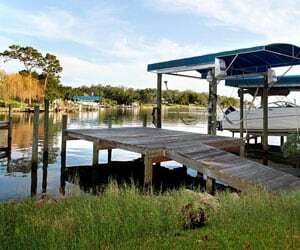 The amenities at Botany Bayou include a swimming pool, hiking trails and waterfront dock. Churchill Oaks is a newer community nestled on 40 acres in the bend of Churchill Bayou and Hogtown Bayou in the Choctawhatchee Bay and features 46% open space and a density of 2.4 home sites per acre. All homesites feature bay views and are large enough to accommodate courtyards, outdoor kitchens, and gardens. Community amenities include over half a mile of common area access to the Choctawhatchee Bay; 8,000 square foot clubhouse featuring three pools, an exercise room, outdoor bar, media room, full commercial kitchen, bath/locker rooms, and large gathering rooms; boat slips with shore power; elevated bay front boardwalk; two spring fed and stocked lakes; parks and preservation areas; and a 2,400 square foot pavilion with a 16 foot fireplace. North Santa Rosa Beach’s proximity to Sandestin allows residents to enjoy golf and The Village at Baytowne Wharf, pedestrian Village with shopping, dining, events, and entertainment. If you want to invest in a property in North Santa Rosa Beach, the Nathan Abbott Team is here to guide the way. Contact our Buyer Specialists at 850-812-3261 to schedule a consultation.